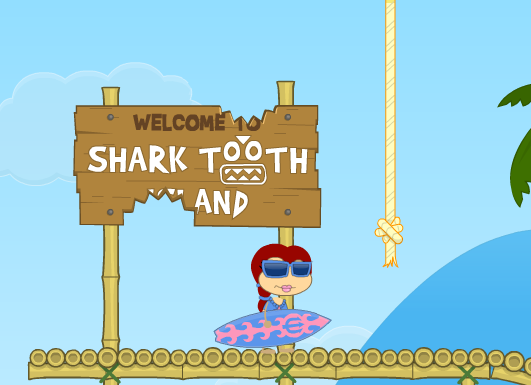 The Shark Tooth Island Guide is brought to you by… water! The natural drink! 1. Go to Shark Tooth Island. You won't catch me with this in Mythology Island. When gods get offended, they blow stuff up. 3. Stop by the vendors, and get a coconut milk and a shark fin. 4. Go right, to the Ancient Ruins, and go inside the giant shark statue that well there are no words to describe it. 5. After you are inside, go left. I can’t really help that much. 8. I can’t really help much with this part either. Just get the bone. Then go left. 9. Get the Key Ingredient. 11. Go right, past the Ancient Runes, and on to Booga Bay. Get the grass skirt. 12. Now go back to the Ancient Runes, and go up the vine. Use the skirt, and he will give you a calming potion. Go right and feed it to the shark. 13. Go and rescue everybody! You are done! Sigh. It's really too bad I had to get rid of my rad board. Hi, um, you have to enter the password in order. Super Thunder; Yeah! UM EVERYBOBY? LISTEN TO -jEllo-!!! Don’t forget about the giant caterpillar! How do you put on the pants with the mythology outfit! but it’s not finished hopefullly it will be soon though! Cool. I will check it out. To change your picture thats near your name, you go to gravatar.com and sign up for an account. Type in your email address. Then type in the username and password that you want. Then click next. Then select a new image. Click on My Computer’s Hard Drive (you can use the others but this one I am telling you is easier). Click browse and select the picture you want. Then, crop. After you crop, click on the button that says “Crop and Finish”. You will have the picture! click on the picture to confirm. Then you can use your picture on any poptropica blog (just make sure you type in the email address you use for your account, also ask your parents for permission). Those instructions go to Incredible Ring. umm what is the order? lol IDK PLZ DONT ASK ME! Don’t you have a Nabooti Island guide????? I’m clueless. LOL But seriously, you’re guide helps me ALOT. 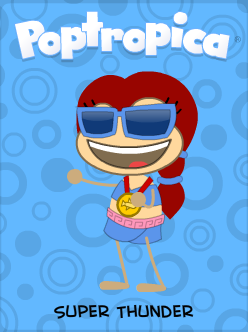 ho do you be a member in poptropica?i really want to be a member! I didn’t really like Shark Tooth Island, it was boring and short. But it was okay. it was like the first island duh of course it will be easy and short i mean do you know how much longer they get take cryptids for an example long!!! !